ADD UPDATE, 10 April 2018: The Woodland Trust has for some time been extremely concerned about Eastleigh Borough Council’s draft Local Plan. By way of example, click here for a transcript of the statement the Trust asked local campaigner Rob Byrne to read to the councillors at the council meeting on 11 December last year. At this meeting, Eastleigh council voted for a Plan that includes 5,200 new houses and a new road north of Bishopstoke and Fair Oak. In the last few weeks, in the wake of the government’s recent announcement to give increased protection to our precious ancient woodlands, ADD campaigners have been back in touch with the Trust who report that their concerns have in no way diminished – in fact they remain as high as ever. 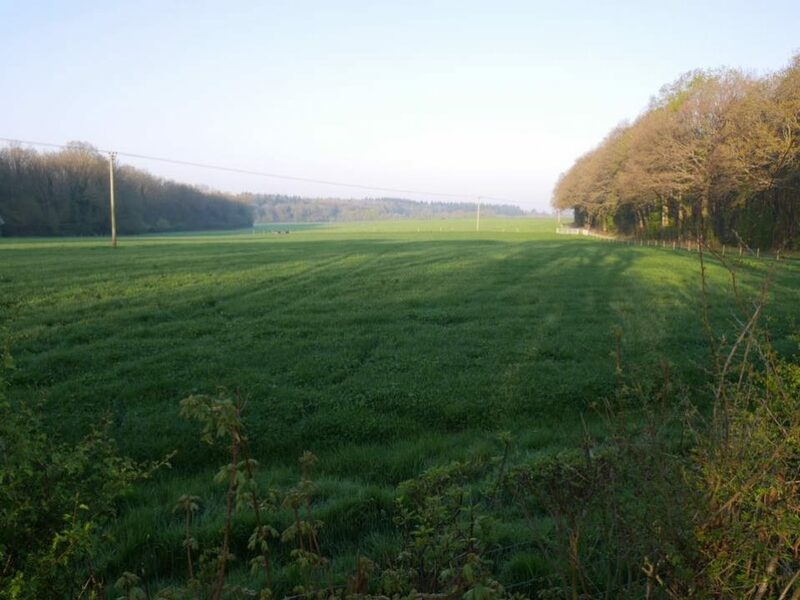 We believe the Trust has more expertise to opine on the impact of the Plan on ancient woodlands than the councillors who have been sharing their views on the subject in recent videos. As such, we are doing all we can to ensure the Trust’s voice is heard. Jack Taylor of the Woodland Trust said: “Once again, the Woodland Trust finds itself having to state that the proposals at hand are of utmost concern to us. A number of ancient woodlands are threatened by large areas of housing development and a new road that could scythe between two of our own ancient woods. “Our role is to protect ancient woodland. We therefore feel it is imperative that Eastleigh councillors fully understand the value of the area they wish to build on. “Further along the route, the road is shown to run along the edge of the section of Park Hills Wood designated by Natural England as ancient woodland and also alongside the nearby Tippers Copse, which is currently believed to be an area of unmapped ancient woodland. 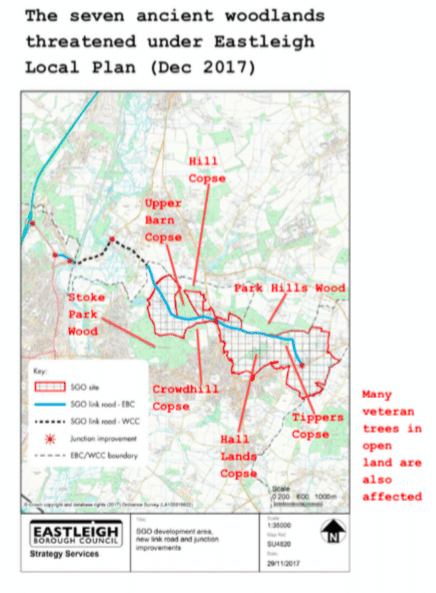 Clearly, and despite the Master Plan Update, Appendix 16, sketch on p.22 [uploaded by the council] noting that protecting the setting of the ancient woodland is a constraint, and indicating that the road would be situated equidistant between the woodlands, our concerns remain. Aside from habitat severance these ancient woods would also suffer from damaging indirect impacts such as road noise, air pollution and light impacts. “Ancient woodland is irreplaceable. It can’t be moved. It can’t be recreated. It has been there and evolved over centuries and this must remain the case. Click here for a map of the seven ancient woodlands that are threatened by Eastleigh’s Local Plan.